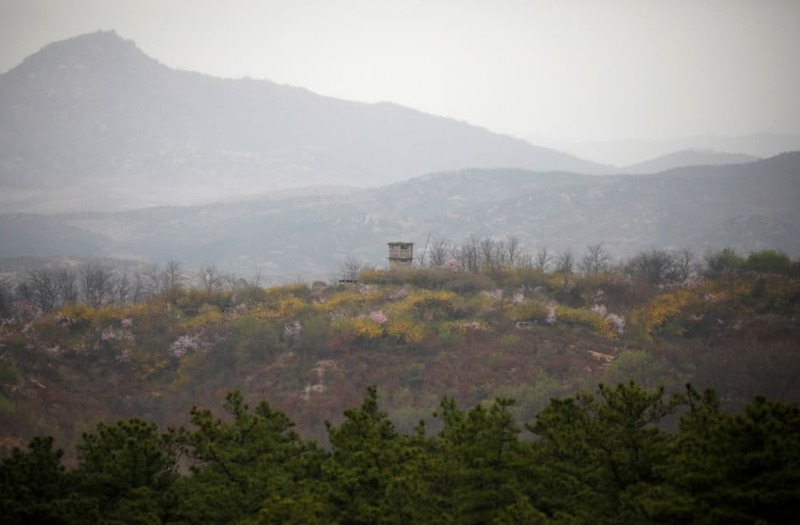 A "low-ranking" North Korean soldier reportedly crossed the heavily-fortified land border and defected to South Korea Thursday morning, South Korean military officials said in a Yonhap News Agency report. The incident did not spark a dramatic rescue like the one that captured international attention in November, when a North Korean soldier fled the country amid a hail of gunfire, South Korea's Joint Chiefs of Staff said. However, according to a South Korean official, South Korean troops fired around 20 warning shots at North Korean border guards who were searching for their soldier. The latest soldier to defect reportedly showed up in front of a guard post around 8:04 a.m. under a thick fog, the Joint Chiefs told Yonhap News. This would be the fourth defection by a North Korean soldier this year, according to the Joint Chiefs. The defector in November — identified by his last name "Oh" and believed to be 24-years-old — was shot at least five times as he made his escape. US troops airlifted the defector by helicopter from the South Korean side of the border and transported him to a nearby hospital, where is he said to be recovering.